ISO EN 13606 is a five part International Standard specifying how Electronic Healthcare Record (EHR) information should be communicated between different EHR systems and repositories. Part 1 of the standard defines an information model for representing the EHR information itself, including the representation of types of data value. A later International Standard, ISO 21090:2010, defines a comprehensive set of models for data types needed by all health IT systems. This latter standard is vast, and duplicates some of the functions already handled by ISO EN 13606 part 1. A profile (sub-set) of ISO 21090 would therefore be expected to provide EHR system vendors with a more specially tailored set of data types to implement and avoid the risk of providing more than one modelling option for representing the information properties. 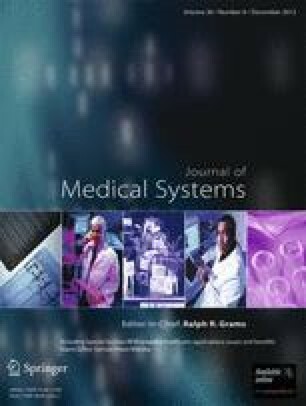 This paper describes the process and design decisions made for developing a data types profile for EHR interoperability. Lloyd, D., Kalra, D., Beale, T., Maskens, A., Dixon, R., Ellis, J., Camplin, D., Grubb, P., and Ingram, D., (Eds. ), The GEHR final architecture description. The good European health record project: deliverable 19, 250 pages. European Commission, Brussels, 1995. http://www.chime.ucl.ac.uk/HealthI/GEHR/EUCEN/del19.pdf. Last accessed July 2010. Dixon, R., Grubb, P. A., Lloyd, D., and Kalra, D., Consolidated list of requirements. EHCR Support Action Deliverable 1.4, 59 pages. European Commission DGXIII, Brussels, 2001. http://www.chime.ucl.ac.uk/HealthI/SupA/del1-4v1_3.PDF. Last accessed July 2010. Kalra, D., Clinical foundations and information architecture for the implementation of a federated health record service, PhD Thesis. University of London, 2002. http://eprints.ucl.ac.uk/1584/. Last accessed July 2010. Austin, T., The development and comparative evaluation of middleware and database architectures for the implementation of an electronic healthcare record, PhD Thesis. University of London, 2004. http://www.ehr.chime.ucl.ac.uk/download/attachments/71/Austin%2C+Tony+%28PhD+2004%29.pdf?version=1. Last accessed July 2011. Comité Européen de Normalisation, Health informatics—general purpose information components—part 4: message headers, 2005. http://webstore.ansi.org/RecordDetail.aspx?sku=DIN+CEN%2FTS+14822-4%3A2006. Last accessed July 2011. Health Level Seven International (HL7), http://www.hl7.org/. Last accessed July 2011. World Wide Web Consortium, Extensible markup language (XML), http://www.w3.org/XML. Last accessed July 2011. Koenig, A., and Moo, B. E., Templates and duck typing, 2005. http://drdobbs.com/cpp/184401971. Last accessed July 2011. The openEHR Foundation, http://www.openehr.org/about/about/foundation.html. Last accessed July 2011. PostgreSQL Global Development Group, About PostgreSQL. http://www.postgresql.org/. Last accessed July 2011. The World Wide Web Consortium, XML schema part 1: structures second edition. http://www.w3.org/TR/2004/REC-xmlschema-1-20041028/structures.html#element-choice. Last accessed July 2011. DICOM, The DICOM standard. ftp://medical.nema.org/medical/dicom/2009/. Last accessed July 2011. OASIS Technical Committees—CIQ, Extensible address language (xAL). http://www.oasis-open.org/committees/ciq/ciq.html#6. Last accessed July 2011. OASIS Technical Committees—CIQ, Extensible name language (xNL). http://www.oasis-open.org/committees/ciq/ciq.html#5. Last accessed July 2011. Schulzrinne, H., The tel URI for telephone numbers (REF 3966). http://tools.ietf.org/html/rfc3966. Last accessed July 2011. Resnick, P., (Ed. ), Internet message format (RFC 5322). http://tools.ietf.org/html/rfc5322. Last accessed July 2011. Russell, R. C., US 1261167 (A), United States Patent Office, Patented 02 Apr 1918. http://www.google.com/patents?id=EbdgAAAAEBAJ&printsec=abstract&zoom=4#v=onepage&q&f=false. Last accessed July 2011. Russell, R. C., US 1435663 (A)—index, United States Patent Office, Patented 14 Nov 1922. http://www.google.com/patents?id=t6FkAAAAEBAJ&pg=PA1&dq=1435663&source=gbs_selected_pages&cad=1#v=onepage&q&f=false. Last accessed July 2011. Institute of Electrical and Electronics Engineers (IEEE), IEEE standard for floating-point arithmetic, digital object identifier: 10.1109/IEEESTD.2008.4610935. http://ieeexplore.ieee.org/xpl/mostRecentIssue.jsp?punumber=4610933. Last accessed July 2011. World Wide Web Consortium, XML schema part 2: data types second edition. http://www.w3.org/TR/xmlschema-2/#gYearMonth Last accessed July 2011. PostgreSQL Global Development Group, The PostgreSQL type system. http://www.postgresql.org/docs/8.3/static/extend-type-system.html. Last accessed July 2011. World Wide Web Consortium, Language tags in XML and HTML. http://www.w3.org/International/articles/language-tags. Last accessed July 2011.